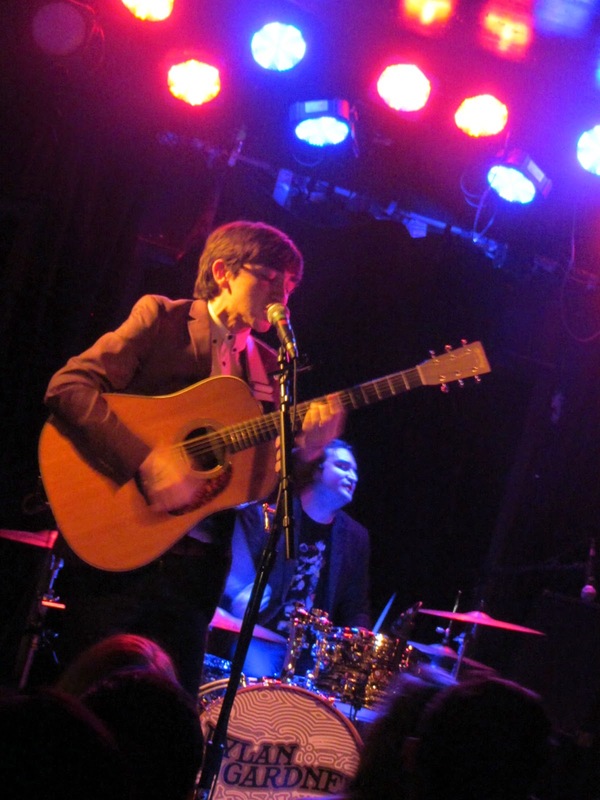 I was invited to review native Chicagoan, Dylan Gardner, an 18-year old singer-songwriter multi-instrumentalist (guitar, piano, drums) at the Beat Kitchen. Having the opportunity to experience his type of talent is why "blogging as a hobby" is worthwhile. Gardner just released his debut album, Adventures in Real Time and was picked up by Warner Brothers after his first single "Let's Get Started" reached 3 million plays on Spotify. Apparently the song came up under "new releases" and found itself on multiple playlists and shared over and over again. Gardner comes from a musical family. His father, Mark, is a bassist and played with the Chicago 80's power pop band, The Kind. His brother also plays drums with Gardner's band. As a result of his father, Gardner grew up listening to 60's classic rock and was particularly drawn to The Beatles who greatly shaped his sound and songwriting and the musical direction he intends to take. Heck, he even looks like a mini-Paul McCartney with his small frame, sport coat and brown "Beatle's styled" hair cut. He is also a fan of The Beach Boys, The Rolling Stones, and The Doors. During tonight's set, he also did a fantastic version of The Arctic Monkeys "Why'd You Only Call Me When Your High" and an Elvis Costello cover so I assume he has some other favorites. Based on his flawless rendition of the Arctic Monkeys song, he could be a stunt double in the event that Alex Turner (lead singer) has laryngitis, a flight delay or other issue rendering him unavailable for a performance. It was impressive (see video below). Gardner and his bandmates, his brother and his bassist, played with high energy and a comforting familiarity. His bassist was all the way in, looking like he was born to play with Gardner and loving every minute of it. The crowd was likely filled with Gardner's friends and family members given his Chicago roots. Beat Kitchen is a small venue so we were rewarded with an intimate performance and greatly entertaining show. Gardner's songs while being diverse and interesting are also cohesive. He has a distinctive sound that will flourish in the commercial world once he gets his television spotlight performances booked. He is extremely confident on stage, maneuvering his guitars like a rock veteran. He had three guitars with him for the set, and they looked like highly coveted instruments. He also has charm and charisma demonstrated by moments such as mentioning his humble beginnings when he had "gigs" at home improvement or electronics stores. Not that there is anything wrong with that. You can only go up from there right? 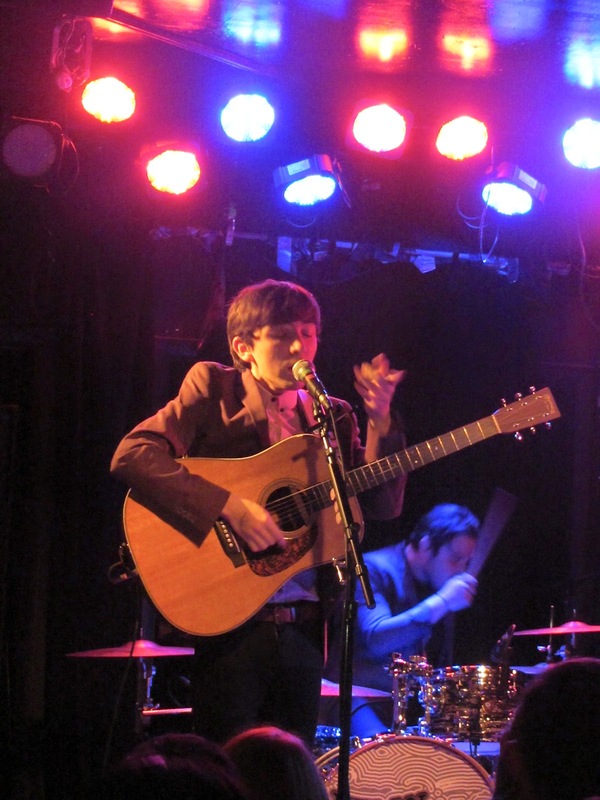 For more on Gardner, check out his website for shows and more at dylangardnermusic.com.